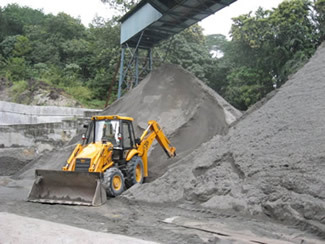 Procuring River Sand for Concrete is one of the major problems a House builder faces in Kerala. 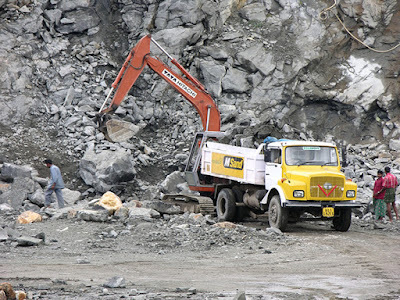 With severe scarcity and more restrictions imposed by the government on dredging of river-beds, we have to look at alternative materials like Quarry Dust or Manufactured Sand. While Quarry dust is a by-product of stone-crushing, Manufactured Sand is made specifically to be used in Construction Concrete. Manufactured Sand or M-Sand, as it is more popularly known, is made by powdering hard granite rocks using heavy machinery. It's particles are cubical in shape and finely graded and hence provides greater durability and higher strength to concrete by overcoming deficiencies like segregation, bleeding, honey combing, voids and capillary. As M-Sand is made specifically for construction, it has many qualities that are superior to River sand or Quarry dust. 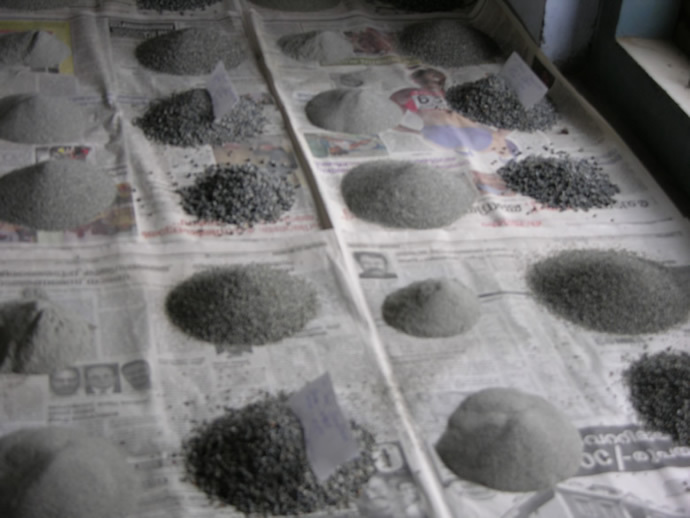 The particle shape of the aggregates is very important. Sand having cubical particles provide higher tensile and compressive strength to the concrete. While clay and slit is present in River sand which may affect the strength of concrete, M-Sand is free of these impurities. Also, consistency of quality can be achieved in Manufactured Sand, while River Sand has varying quality in different batches. River sand has to be sieved to remove stones, slit and clay. Average wastage of sieving is about 35% in materials and extra labour cost is incurred. Whereas M-Sand is ready-to-use-sand with no wastage since it has no organic impurities. 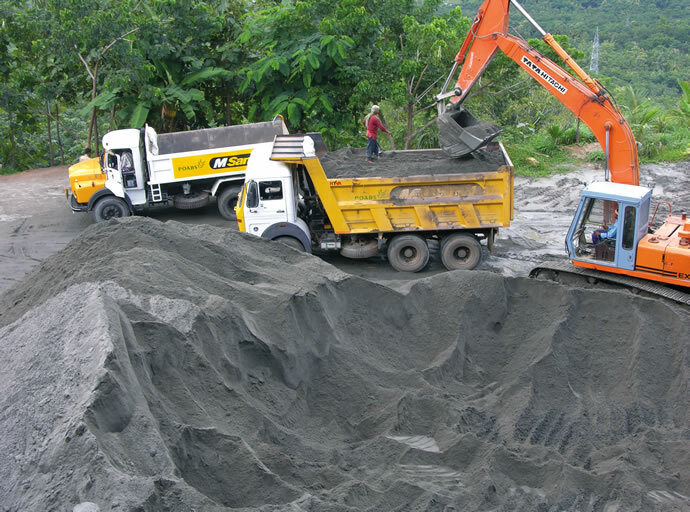 M-Sand has balanced physical and chemical properties that can withstand any aggressive environmental and climatic conditions as it has enhanced durability, greater strength and overall economy. Usage of M-Sand can overcome the defects occurring in concrete such as honey combing, segregation, voids, capillary etc. The superior shape, proper gradation of fines, smooth surface texture and consistency in production parameter of chemically stable sands provides greater durability and higher strength to concrete by overcoming deficiencies like segregation, bleeding, honey combing, voids and capillary. The crusher dust is flaky and angular in shape which is troublesome in working. There is no plasticity in the mortar which makes it even difficult for the mason to work, whereas the cubical shape with grounded edge and superior gradation gives good plasticity to mortar providing excellent workability. M-Sand has optimum initial and final setting time as well as excellent fineness which will help to overcome the deficiencies of concrete such as segregation, bleeding, honeycombing, voids and capillary. 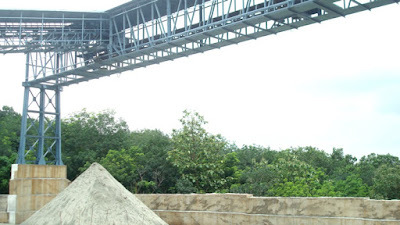 M-Sand is the alternative to river sand. Dredging of river beds to get river sand will lead to environmental disaster like ground water depletion, water scarcity, threat to the safety of bridges, dams etc. Beside with the Government contemplating ban on dredging of River beds to quarry river sand, as part of the growing concern for environment protection, M-Sand will be the only available option.